Disclaimer: as ever, unfortunately, I don't own the boys nor The Faculty - just borrowing them for some fun. Of course also the included pic isn't mine. "Where did you do these pics," Zeke asked and pointed at the photos which were lying scattered all over the floor in front of Casey's locker. The boy swallowed. He always felt uneasy when Zeke Tyler talked to him. It was all Gabe's fault! No one at the school was supposed to see his pics, he took with the old camera of his grandpa. Without a word he bent down to pick them up, but Zeke was quicker. With a wide grin, he held up one of the pics. 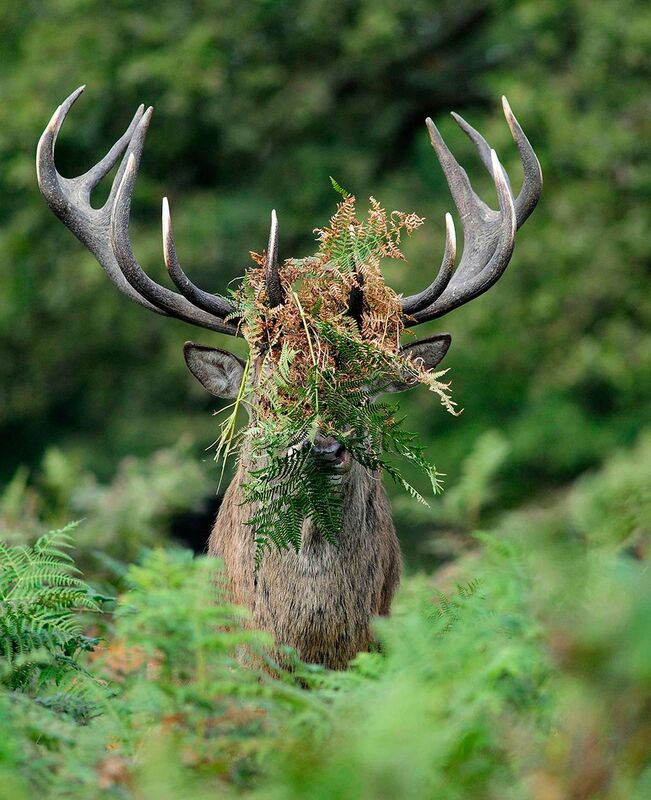 The deer with the moss and fern covered face was Casey's favorite, but suddenly he knew is was just ridiculous and geeky. "You should offer them to a magazine," Zeke said. "I bet they would pay you a shitload of money for the publication rights. They are brilliant." Just in case you would like to see more of these funny pics and have missed naemi's post here is the link to the website. I love how Zeke surprises Casey with a real interest in his photographs. That is such a silly deer, lol! Well, maybe Zeke already had some interest in Casey before but he didn't know how to do the first step? Isn't it? I couldn't resist and had to write a little ficlet about it.